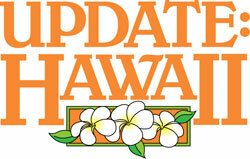 The American Resort Development Association of Hawaii (ARDA-Hawaii) has announced the recipients of its first annual “Timeshare with Aloha” Awards. One outstanding employee each from Kauai, Oahu, Maui, and Island of Hawaii was recognized and received a two-night stay at a Hawaii timeshare resort and $1,000 to spend during their vacation. The nominations, which included submissions from supervisors and peers, were reviewed by a panel of judges comprised of leaders in government and in the travel and hospitality community. The judges evaluated the submissions based on the candidates’ dedication at the workplace, relationship with coworkers, customer service and community stewardship. The vacation stays were donated by ARDA-Hawaii members Hilton Grand Vacations, Marriott Vacation Club, Starwood Vacation Ownership and Wyndham Vacation Resorts. 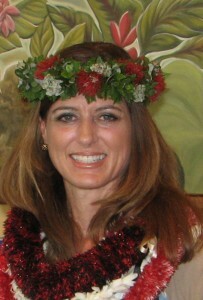 Keani Awai has worked for Marriott Vacation Club for nearly 16 years, and is the marketing manager for Marriott’s Maui Ocean Club. Her talents have led her from front desk agent, to concierge work and most recently a well-deserved promotion to marketing manager. She strives to share the aloha spirit with guests by sending special Hawaiian floral arrangements to the mainland, recognizing returning guests by name and remembering special events, holidays and milestones of associates. Ashley M.K. 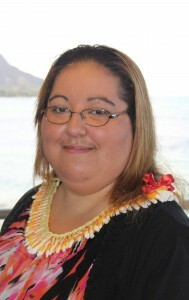 DeCanto has worked at Wyndham Vacation Resorts for eight years and is the Administration Manager for the Wyndham Waikiki Beach Walk and Royal Garden at Waikiki. As a leader, her team has achieved outstanding performance evaluations, including heartfelt praise from visitors, directly related to their experience with the Wyndham Waikiki team. Born and raised in the islands, DeCanto understands the importance of Hawaii’s culture and strives to share the aloha spirit with everyone. That same spirit is also seen outside of work as she volunteers her time for the Hawaii Foodbank and Visitor Industry Charity Walk. Julie Pavao has worked at Starwood Vacation Ownership since 1987 and joined The Westin Princeville Ocean Resort Villas in 2008 when the property first opened. Since then, she has served on the associate council and holds the position of executive assistant to the general manager. To many of the associates she is “Aunty Julie,” who truly embodies the aloha spirit and makes all of the employees feel like they’re part of an extended ohana. 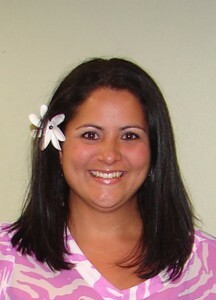 Stephanie Peterson has worked at the Hilton Grand Vacations Club since 2005 and is an Executive Vacations Counselor for the Hilton Grand Vacations Club at Waikoloa Beach Resort. In just six years, Peterson achieved $10 million in sales. 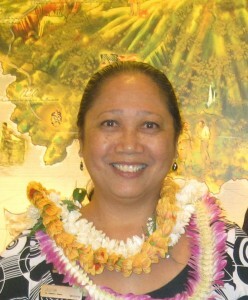 In addition to her strong work ethic, Peterson understands the importance of being part of the community and has served as a volunteer for the Ironman, participated in the Visitor Industry Charity Walk and the Lokahi Giving Project.